The London born has made an impressive start to his career with already 10 First team appearances at the age of 18. 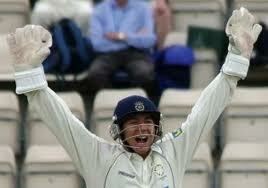 He is a great destructive Opening Batsman who plays some amazing strokes when he jams to the crease. He is currently playing in a Quadrangular series in Australia. He stayed not out on 103 in the opening match which crowned him the Man of the match. He then score 41* against New Zealand and 55 to follow against India. The young Ansari, has came through the Surrey Academy system as a Left-arm spinning all-rounder. His first notable performance was when he took a five wicket haul for Cambridge University against his own county, Surrey. The former U-19 player had a great T20 campaign last year as he contributed mostly with the bat than ball. Another Surrey boy coming through the system since he was 11, The South African born came to England when he was 10 years old. Based on last years performance, Roy's 4-day average was not eye catching but his but he dominated in the CB40 competition. He averaged 45 including 2 hundreds and 4 fifties with a highest score of 131. Another one to look out for is Keeper, Michael Bates. He was selected in the U-19 World Cup in 2010 where Australia won it. He hasn't had the best starts to his County career but he has a great chance to prove himself after the retirement of Nic Pothas. The all-rounder who bowls left-arm pace is the Captain of the England U-19s and is also playing alongside Kent team mate, Daniel Bell-Drummond in the quadrangular series in Australia. 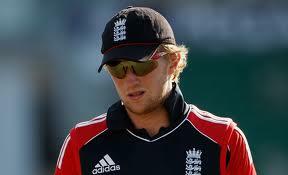 Adam's sporting hero is Andrew Flintoff and is a hot prospect and one to look out for. A Left-arm seamer with huge potential, Reece Topley was all over the headlines. This was when Kevin Pietersen drilled a drive straight back at his head where he required stitches. He then was again on the headline, not for getting hurt but with his talent with the ball. In his first 3 games for Essex, he took 14 wickets with 2 five wicket hauls already to his name. He has so far played 9 County Championship games taking 34 wickets when he was just 17.